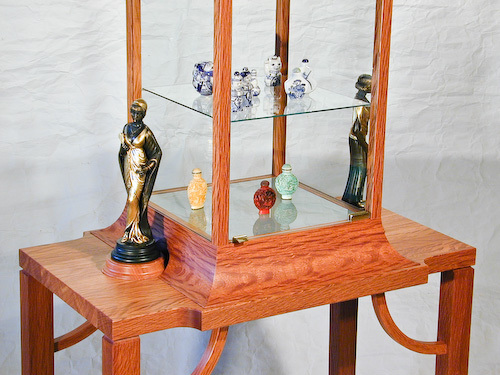 This display cabinet is a commissioned work whose purpose is to house and display the client's collection of Chinese snuff bottles and two art deco figurines. The room the cabinet resides in is largely furnished with Korean and Chinese pieces. 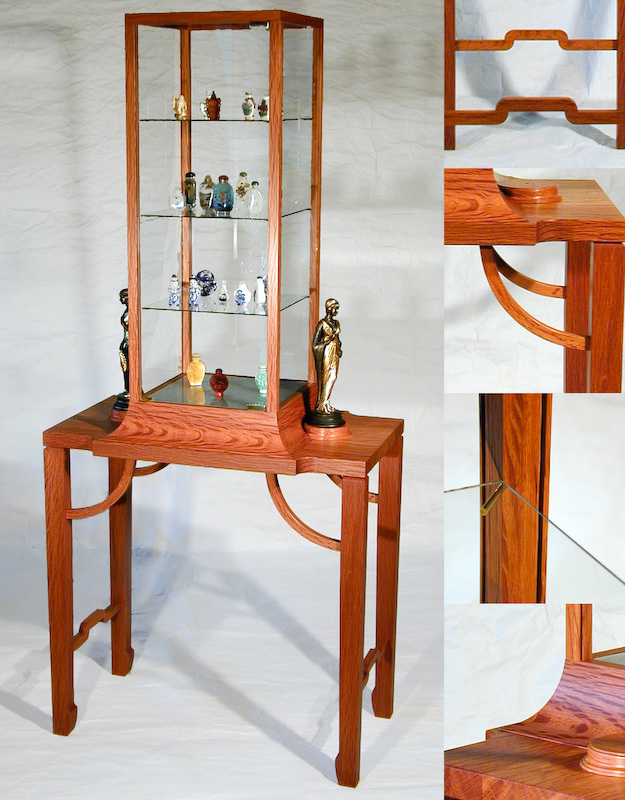 The cabinet merges elements of art deco design with references to Chinese furniture. According to my Chinese sources bao bei wu translates roughly as house of precious treasures. 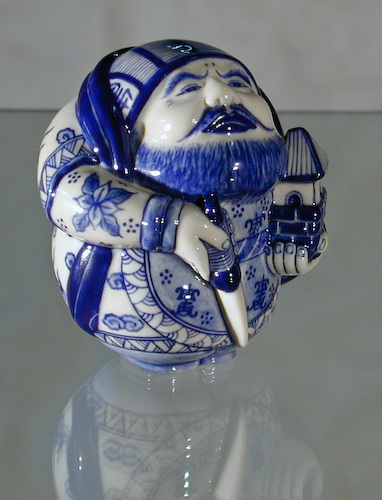 These are a few examples from the collection of snuff bottles. This image shows the rich colour of the river sheoak (Casuarina cunninghamiana) used for all the wood components of bao bei wu. The bottom shelf visible at the top of the image is frosted perspex. 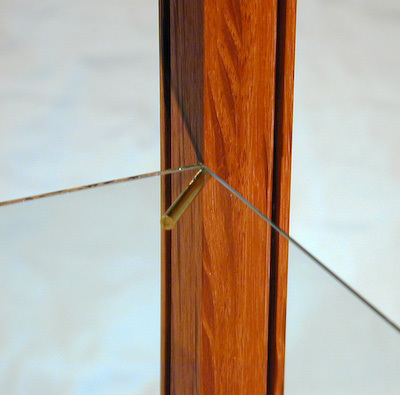 Other shelves are glass supported on each corner by a brass pin that is morticed into the upright at 45°. Note the fine rebates in the upright that hold the slim glass sides. 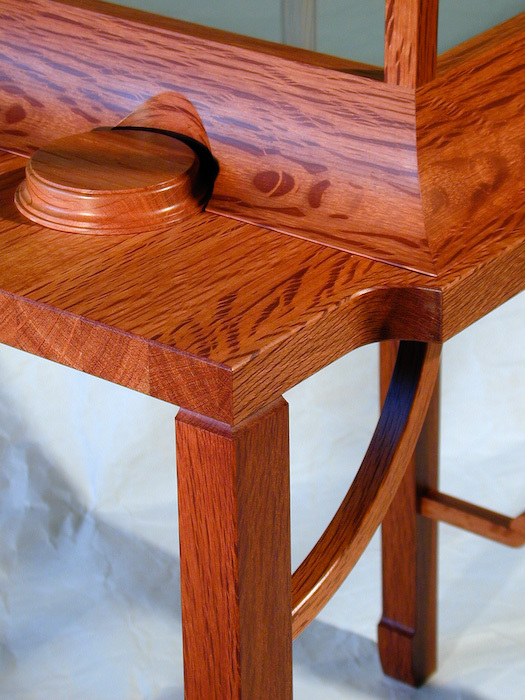 A circular plinth is recessed into the curved base of the tower. 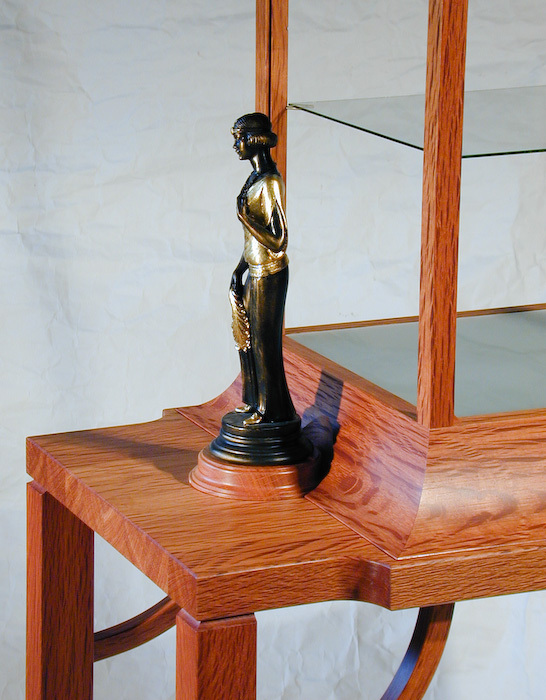 The detailing reflects that of the art deco figurine that stands on it. The treasures are accessed via a glass door. The front panel of glass is hinged on the right. The lower brass hinge can be seen in the following image. On the left lower corner is a small brass finger pull.